A step-by-step guide to crafting an advanced Facebook marketing strategy. It’s may be the most important stage in any marketing cycle, but it’s likely the single most overlooked. With over 2 million advertisers currently on Facebook, the competition is fierce, and entering the arena without a strategy for success is essentially planning to fail. Creating a Facebook Marketing Strategy is a vital step in delivering advertising success, yet the vast majority completely ignore this part of the process. The instant gratification we sometimes see from paid Facebook advertising may have something to do with that. If we get lucky and publish a well-performing ad that delivers positive results, we may end up just trying to replicate that process forever. As sophisticated Facebook marketers let’s make a vow, right here and now, to put an end to all of that. From this day forward we enter into any and all Facebook marketing activities with a strategy in place. We’re about to run through the entire Facebook Marketing Strategy development process. 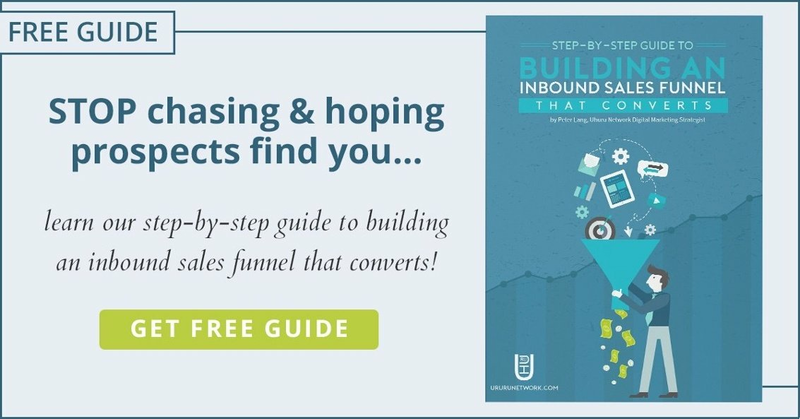 The information found in this guide is the result of years of work, hundred of thousands of dollars in ad spend, and some nerd-level analysis of the results. A website: this is your digital marketing hub, where you send all your Facebook ad traffic to convert them into clients. A Facebook page associated with it. A business, product, or service to promote. Every brand’s strategy will be unique, and based around the 7 Key Components listed below. Are you ready to get serious about your Facebook Marketing Strategy development? Keep coming back to your strategy document and updating it based on your results, changes in objectives, etc. It needs to be a living, breathing part of your Facebook marketing program that evolves as you deploy your strategy. Every strategy should be built around your foundational marketing objectives. Whether you’re launching your brand, a new product, or simply ready to drive more conversions, you need to be clear about what you’re trying to accomplish. Facebook gives you 11 standard objectives from which to choose from based on the stages of the buyer’s journey you’ll be targeting with your advertising. If you’re developing your Facebook Marketing Strategy around targeting people who don’t know your business, ideally you’ll want to plan the stages of your advertising around the stages of the buyer’s journey. Raise awareness of your brand, create engagement and traffic, then target people to buy. However, if you’ll be using the Facebook Pixel for Retargeting, you can skip the awareness stage and go right to consideration or conversion stage objectives. Another factor to consider is barrier to entry. Many successful strategies are designed to target engagement and traffic straight away, skipping the awareness stage (and sometimes consideration stage) altogether. The determining factor here is typically the product or service being sold. If the barrier to entry is high and requires a serious investment (time, money, etc.) on their part, start by raising awareness. Allow them to do their research, compare products from other providers, and make a decision based on the information they gather. If the barrier to entry is lower, you may be able to skip awareness stage and start driving traffic to your site. In ecommerce strategies, where the product is relatively inexpensive and straightforward, many brands choose to advertise for conversions right away, using retargeting to renew interest in those who weren’t ready to buy. The second most important aspect of your Facebook Marketing Strategy is who you’ll be targeting. Facebook gives advertisers a highly sophisticated targeting platform, allowing users to get extremely specific when creating the audiences they target. In order to define the audiences you’ll be targeting, start with the basics and work your way toward a more and more specific group of people. If you’re starting fresh, you will need to test and include any demographic information you already know about your buyers. Then you can begin including things that define their more unique characteristics, such as interests. It’s important to test different interests separately to see which deliver your ads to the right group of people. Don’t make assumptions that interests belong together. Test first and only combine when you know which interests work well. Facebook allows you to upload a list of emails in order to target them with specific objectives. For example, you could upload your leads who had converted on a lead capture form to target with special offers. You could also target your existing customer list to upsell them or let them know about a new product launch. You can also target people who have visited your website based on the different actions they take while onsite. Check out our expert’s guide to retargeting for more on this powerful tool. Another great custom audience to test is the people who have interacted with your page, posts, or watched your videos. They already know your brand and have show interest in what you have to offer. It’s your job to nurture them toward a conversion. While not technically own custom audience category, you can expand the power of your custom audiences by creating lookalike audiences. You can select the 1%-10% of Facebook users whose qualities most closely resemble your contacts list, website visitors, or engaged audience. Remember: Document the different types of audiences you’ll be testing and the information you’ll be using to creating them. Once you’re clear about your objectives and the audiences you’ll be targeting, it’s time to define what types of ads you’ll be publishing. This is the part of your Facebook Marketing Strategy that your potential buyers actually get to engage with. The behind-the-scenes work that occurs in the previous steps sets the stage for you to make the best impression possible with your ads. Test the different formats to see what works best. While video is widely considered the most engaging format, some brands find their image ads or link ads perform better than their videos. The copy and creative elements you include in your ads will have a dramatic impact on their success, so be sure to test a wide variety of creative in each format before deciding on the one or two most effective formats to engage your audience. Choose the formats that best speak to your target and design your creative around a marketing message that they respond to. The voice of your message can be far stronger when advertising to those who already know your brand. When speaking to cold audiences, the message should be low pressure and highly engaging. Frame it around the discovery of something special. Your Facebook Marketing Strategy should have a system in place to keep users from seeing the same ads too often. After an ad has been seen by the same person a few times it becomes less effective. Whether you decide to create new ads 1 time or 4 times per month, develop a timeline for your ads to be shown so that they don’t start to annoy your audience. Try updating formats and creative to always provide your audience with something fresh. Include in your strategy document the types of ads and creative you’ll be testing in your strategy, as well at the frequency with which you’ll be developing new ads in your strategy. The successful implementation of your Facebook Marketing Strategy depends greatly on your mastery of Facebook’s reporting and page insights tools. These 2 essential tools are the keys to understanding what parts of your strategy work and what needs to be optimized. They allow you to distinguish your best performing posts from the worst, discover negative reactions and, with the help of the pixel, understand what types of results (sales, conversions) your ads are driving. Your Facebook Marketing Strategy should include KPIs from which you measure the success of each campaign and your strategy as a whole. These are the metrics that you’ll use to optimize your strategy as you move forward. Be sure to define what KPIs you use to determine the success for your campaigns within your Facebook Marketing Strategy document. Facebook Ads reports are a vital component to fully understanding your Facebook marketing and the success of your Facebook Marketing Strategy. They are the single most effective tool to help you determine your performance and make the necessary adjustments to achieve them. 2. You can sort the data it shows you by clicking on any of the individual column names (ex: Delivery). 4. And then selecting the data you would like to view. 5. When you’re done customizing, you can choose to save the customized report as a preset. 6. And finally you can choose to have the preset as default, so that your custom data is being loaded each time you open the Ads Manager. If you want to examine data beyond the default date range, click on the date selector from the drop-down menu in the top right. This will allow you to choose from a selection of preset options or create your own custom dates. Once you choose your date range, you’re able to schedule the automatic generation of your Facebook ad report. Click the reports icon in the upper left and choose Save New Report. Enter a report name and click Schedule Email, which allows you to set the delivery and frequency of your reports. Click the Reports Icon, then Manage Reports to view and edit the report settings. One of the key additions that a Facebook Marketing Strategy provides is a documented approach for optimization. As you master the tools outlined in the last section you’ll begin to see what aspects of your ads are performing well and which can be improved or are deserving of a fresh start. This type of awareness allows you to define the most effective characteristics of each ad campaign. As you become aware of more and more of these wins and losses over time, you’ll be able to better document what makes for a successful ad or campaign according to the tests you run on various audiences. Eventually, you’ll be able to develop a guideline that will provide new team members with an understanding of what works and what doesn’t, their headstart to success. It’s this information that you’ll use to scale your advertising as your budget increases. Facebook is still a social network. One of the most commonly ignored components of a Facebook Marketing Strategy is the community engagement factor. Your strategy needs to document who will be responsible for responding to comments and messages. It’s also vital that you don’t ignore your Facebook page. Every ad you run will be linked to it and some of your audience will end up there. Who be be responsible for publishing a regular stream of relevant and engaging content there? Will your whole team contribute? Who will ensure they do so? If your company writes a blog, publish posts there. Try to include insights into company culture as well. Regular photo updates from your staff will help establish a human element on your page and begin to develop a relationship with your followers. Make sure these elements are documented and each person responsible is clear on the expectations set for them. Facebook, your business, and your competition evolve rapidly. So should your Facebook Marketing Strategy. Don’t get complacent once you’ve developed a strategy that works. More than likely it won’t be long until something shifts and you’re once-perfect strategy is rendered ineffective. For this reason, always be testing new tactics. Change up your format, creative, your promos, and anything else that you notice changes the results of your advertising. What works one day may not work the next, so be prepared to make small adjustments based on the information gathered during this type of testing. It will keep you from having to go back to the drawing board completely. Rather, you’ll be able to identify one or two factors that are most likely to have caused the shift and are in need of adjustment. The development of a powerful Facebook Marketing Strategy is not something you can complete and walk away from. Your strategy should be dynamic, evolving with the changes in your business, your market, and the Facebook platform. It’s vital that you continually revisit each of the key points in this article to ensure you’re not creating weak links in your chain. Keep each of these focus areas strong and you’ll be able to adapt at a moment’s notice, continually optimizing the way you advertise and your results. There is no key to success, no written recipe for a foolproof Facebook Marketing Strategy, but you now have the understanding to develop a powerful strategy and keep your advertising performing predictably well.